Last night, my mom and I sat down to frost our sugar cookies for my sister-n-law’s baby shower this weekend. 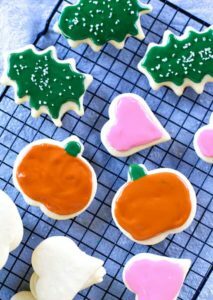 Mom’s sugar cookie recipe is amazing and coupled with the sugar cookie icing recipe I shared, we know these are going to be a big hit! Mom had already made the basic sugar cookie recipe last week and put the finished cookies in the freezer. After thawing them, we were able to frost all cookies within 30 minutes! 1. Make your sugar cookies ahead of time and freeze them. 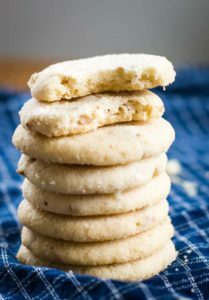 I know that our easy sugar cookie recipe, freezes great! Breaking up the two steps, makes it so much easier! 2. When you’re reading to glaze your sugar cookies, you’ll need a big work space. Using a trash bag is a very inexpensive way to cover where you’ll be frosting your cookies. 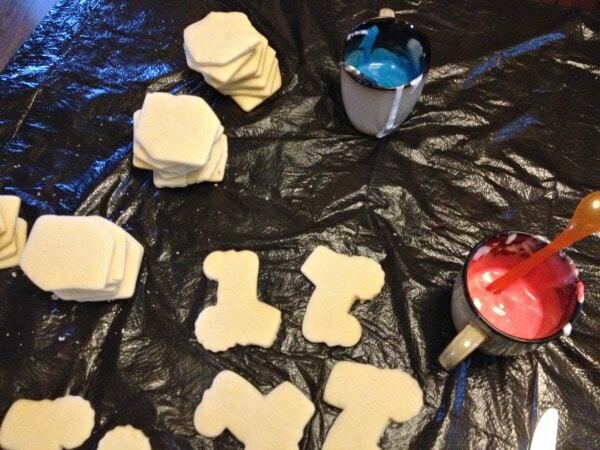 Before you start to glaze your sugar cookies, cut a trash bag along two seams that make an “L”. Lay the trash bag over a hard surface. I use our kitchen table. When you’re glazing or using icing for cookies, you want to have a big work surface. You also want easy clean up. 3. 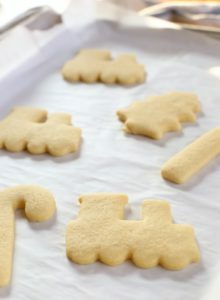 Once the icing is made (you can find my sugar cookie icing here), add any food coloring that you desire. I use the Wilton Colors. It gives a more vibrant color and a little bit goes a LONG way. Make all the colors you need for the base color. 4. Frost the base color first. Lay out four rows of sugar cookies. 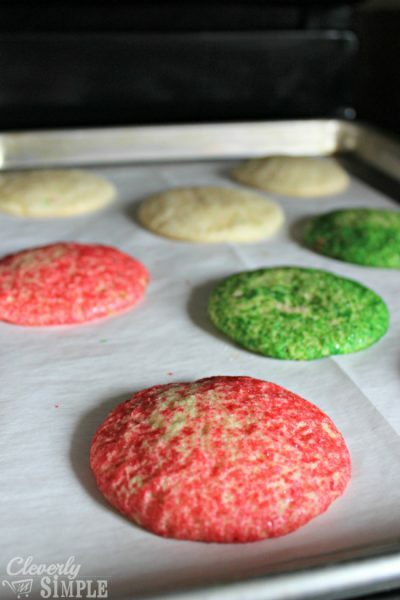 Frost each sugar cookie with the base color of your choice. In this case, we had two colors, blue and pink. 5. Make the icing for your piping color. Use a ziploc bag to hold your icing for piping. 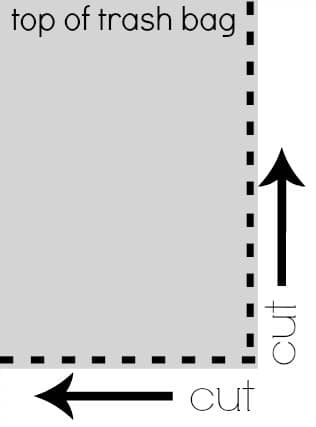 You can find the full directions here. Work slowly from the middle of the table to the outside, being careful to not bump any finished cookies. 6. 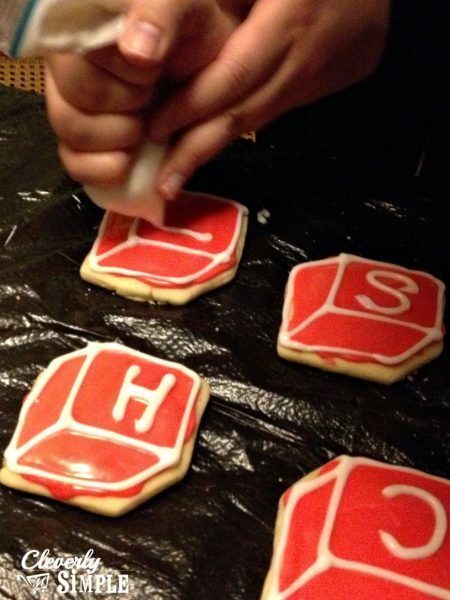 Let your sugar cookies set until the icing hardens. Because you have this work space, you can leave the cookies to harden properly before moving them to a container or display. Moving cookies too prematurely can lead to smeared frosting. 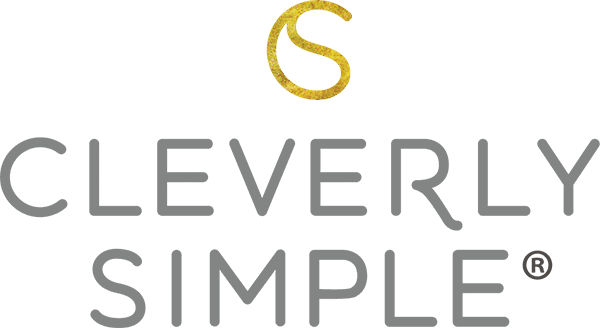 What tips do you have to simplify the sugar cookie recipe process? Just want to be sure of something: This trash bags are not safe for food preparation. It’s made of very unsafe plastic. Do you think it is wise to use these kind of plastic to work on when decorating cake. Nowadays, anything is safe… use what’s more convinient and less harmful 😀 BTW, can I add more milk or those 4 tsp are enough? 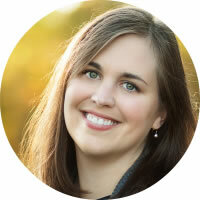 Thank you for sharing this wonderful tip!! If you’re talking about the icing, you can add more milk if you want it to be a bit more like a glaze. You can add less for a thicker icing. HI Lynette, always use what you feel more comfortable with. Wax paper is another option that might work great for you. Hi, you can add another layer when it dries if you want it to stand out. If you add another layer of frosting before it dries, it may bleed into the one below it. However, sometimes that makes a nice look as well.